Pillow picking. How complicated can it be? Judging by the rows of pillows in most big bedding stores, there’s a boggling array of choices. And it’s no fun to drag pillow after pillow home only to find out that the one you got just isn’t what you needed. 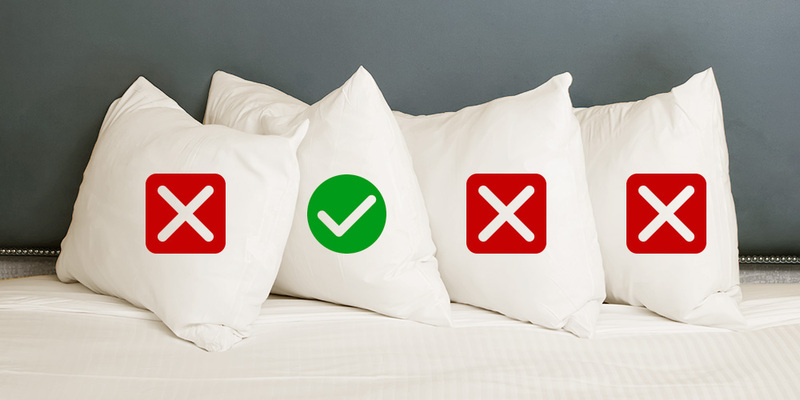 Pillow preferences are personal so there’s no one-size-fits-all, but this summary will help cut through the confusion. For each of the following needs, here’s some sound advice. Small children, most experts say, shouldn’t really be using a pillow at all. Their skeletons are still forming and their necks are delicate. An over-stuffed or too-high pillow could affect proper development. That said, there’s no harm in some moderate support if your child prefers a pillow. Look for a low, slim pillow made of sturdy but breathable material. And choose the smallest size, regardless of bed size. Chances are that during the night your little wiggler will shove a pillow aside anyway, so there should be room for it to go at the head of the bed, rather than wind up draped over the child’s face (or on the floor). Avoid multiple pillows, which can maroon a child in an awkward position and contribute to restless sleep. Because neck length, shoulder width, weight and many other variables affect neck pain, this search requires patience. You may have a few disappointments, but these tips will help you find the right neck pillow sooner. If you’re drawn to a contoured neck pillow (with a rolled edge and head-cradling hollow), be aware that different manufacturers make these in different shapes. If you can, purchase one from a store that will allow you first to try it out while lying down. Linger long enough to relax as deeply as you can, so you'll sense whether your neck pain is easing or is aggravated. Remove coats or scarves so bulky fabric around your neck won't interfere. Another option is a customizable loose-fill pillow that you can adjust to create the exact volume that feels most comfortable. A dense, loose fill such as shredded latex is more supportive than light fibers or down, but not rigid. You can “punch it up” to fit your neck-to-shoulder space and it’ll hold its shape longer than fluffy materials do. Most back sleepers need fairly solid support, and some need considerable pillow height. That’s as variable as bodies are, but having two pillows handy can be a good idea for many back sleepers. For most, a formed foam pillow just thick enough to keep your neck evenly aligned with the rest of your spine is the best way to start the night. (This pillow will be all you need if you’re on your back all night.) Take a friend along or ask a salesperson to take a careful look at the alignment of your neck and spine. If you tend to roll onto your side during the night, you may appreciate the option of pushing the first pillow aside to tug a thicker, loose-fill one into the gap between your neck and shoulder. Over time, many sleepers learn to make this swap without waking. Smaller pillows are easier to move, so if you’re going for the two-pillow approach, avoid mega sizes. Many side sleepers get so comfortable in this position that they move very little during the night. For most, a fairly thick pillow that fills the neck-to-shoulder area without overextending the neck will be the most comfortable. Depending on the length of your neck and width of your shoulders, your just-right height will vary. Consider also adding a body pillow to drape an arm and leg over. The extra support can help tight back muscles relax. Some side sleepers prefer to use a low, formed pillow topped with a softer, loose-fill one. As long as their combined height keeps your neck and spine well aligned, that’s a good approach. 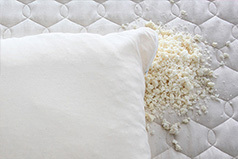 In this case too, a customizable loose-fill pillow will give you more control of your comfort. Tsk, tsk. Most sleep experts (and chiropractors, too) advise determined stomach sleepers to avoid a pillow, period. Or at least, use the lowest pillow possible. 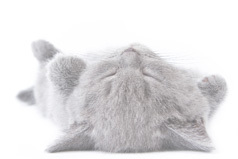 When you’re face-down on your stomach, your chin tilts your head back, which strains the neck. Even with your head turned to the side, stomach sleeping puts extra stress on cervical vertebrae. If you just can’t relax without burrowing into a pillow, the best approach is either to choose a soft, very low pillow, or a customizable loose-fill style that you’ve emptied of a good deal of its contents. This will help your neck remain more aligned with the bed’s surface, reducing neck and shoulder strain. Pillow perfection is a passion for Savvy Rest, and pillow selection is, too. Check out these formed and customizable styles, to see which might be right for you. Sleeping on your back is great for spine alignment, but it's not always the best position. Adjust the fill volume to the height, firmness, or plumpness you find most comfortable.